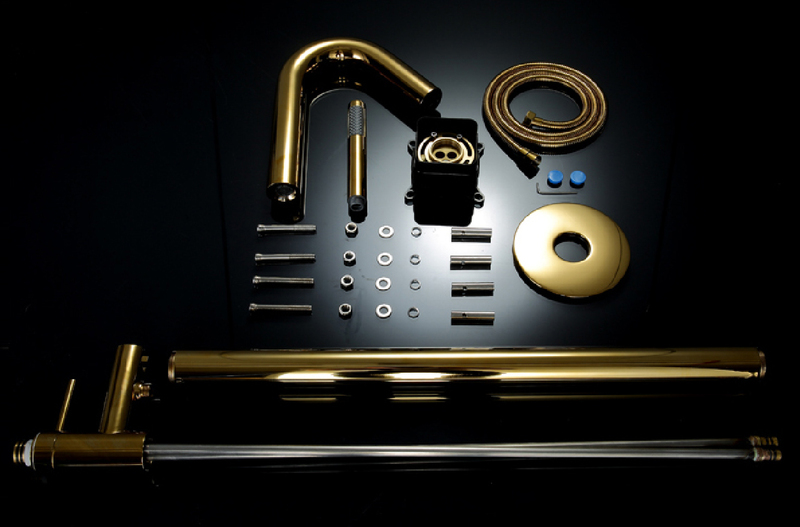 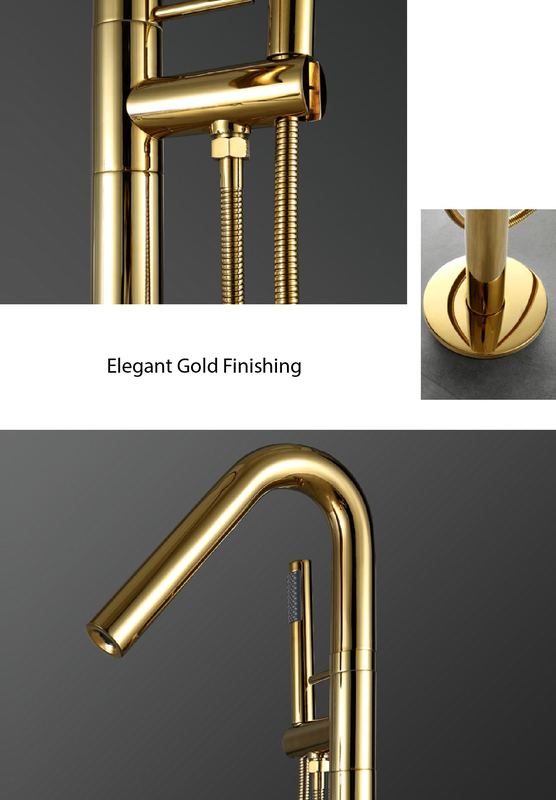 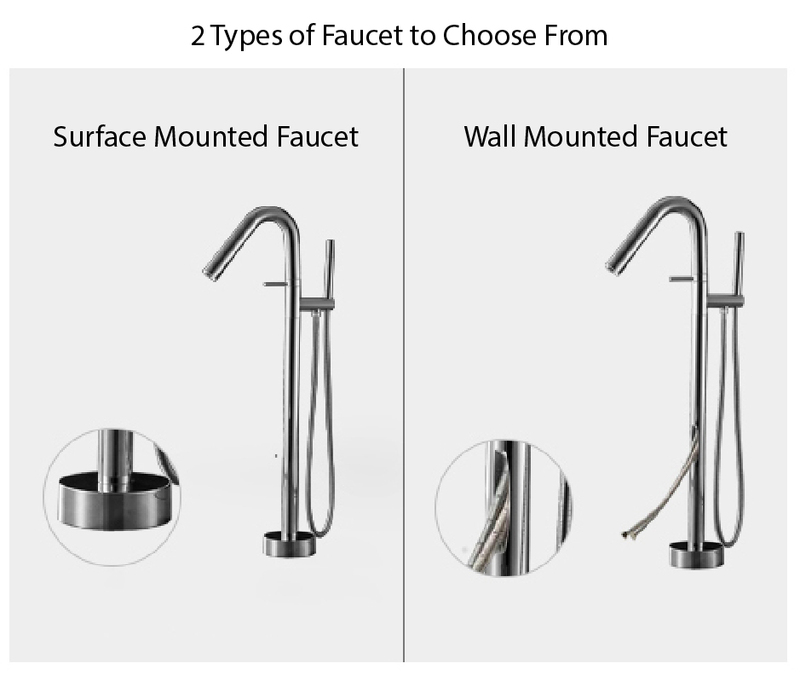 The Luxury Gold Trinity freestanding bathtub faucet is the quintessential expression of today’s modern aesthetic movement. 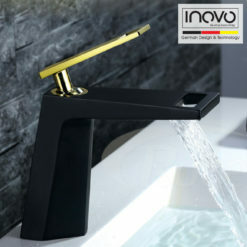 The contrast between fluid blends and sharp lines exudes sophistication and refinement. 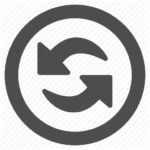 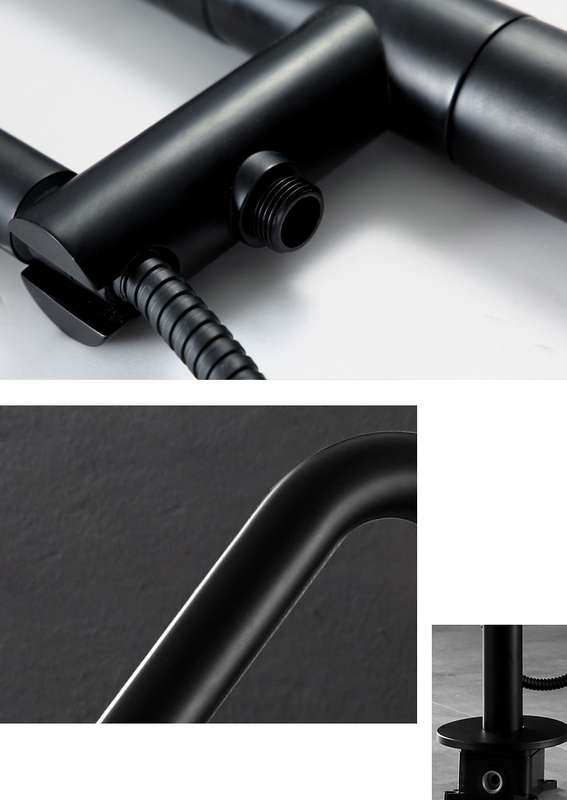 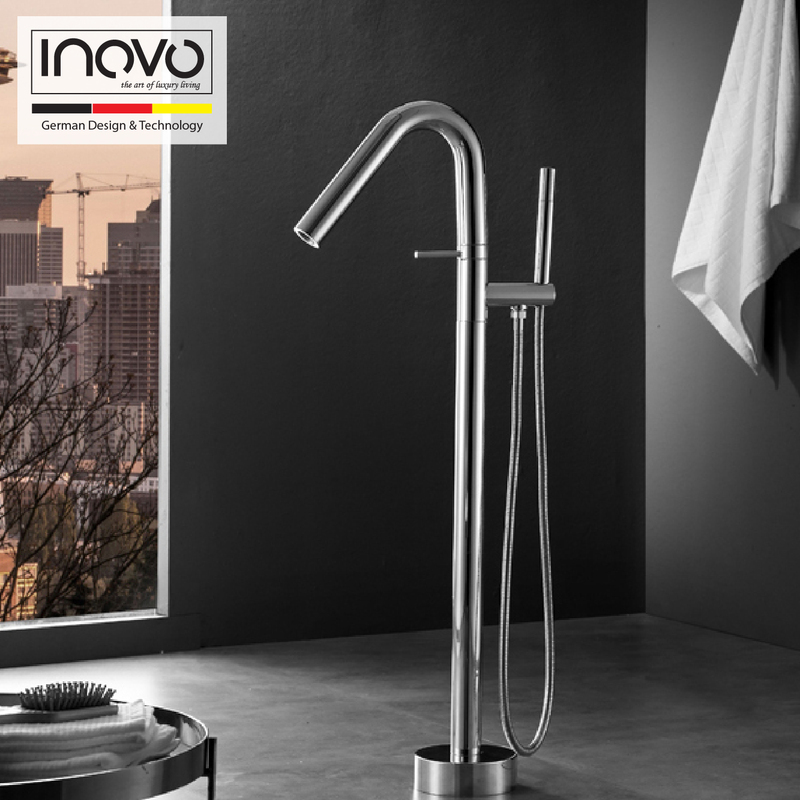 Its subtle and sensual curves invite touch, while its precise geometry gives a sense of control and precision. 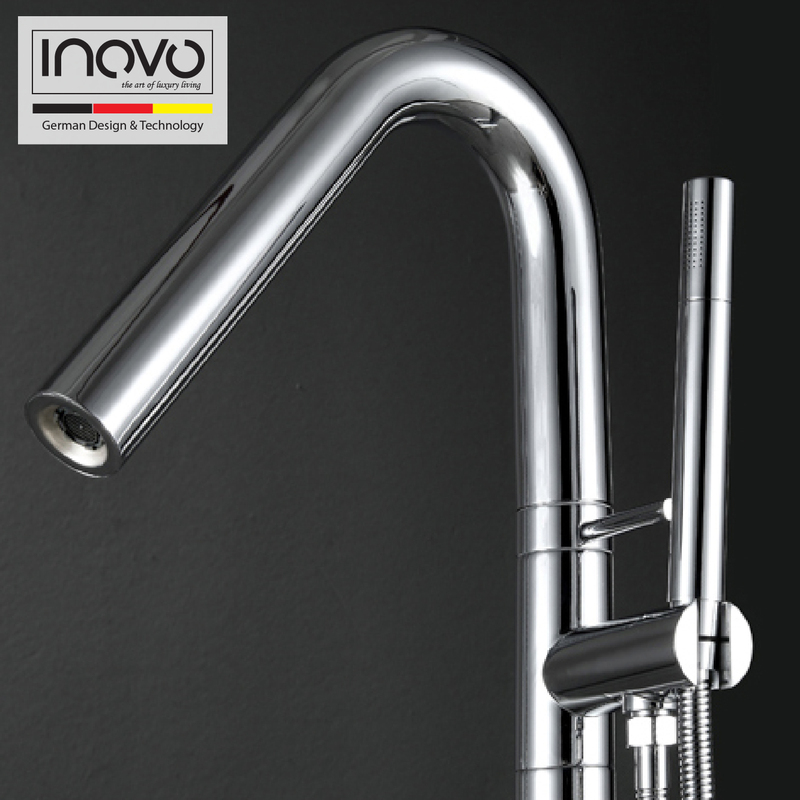 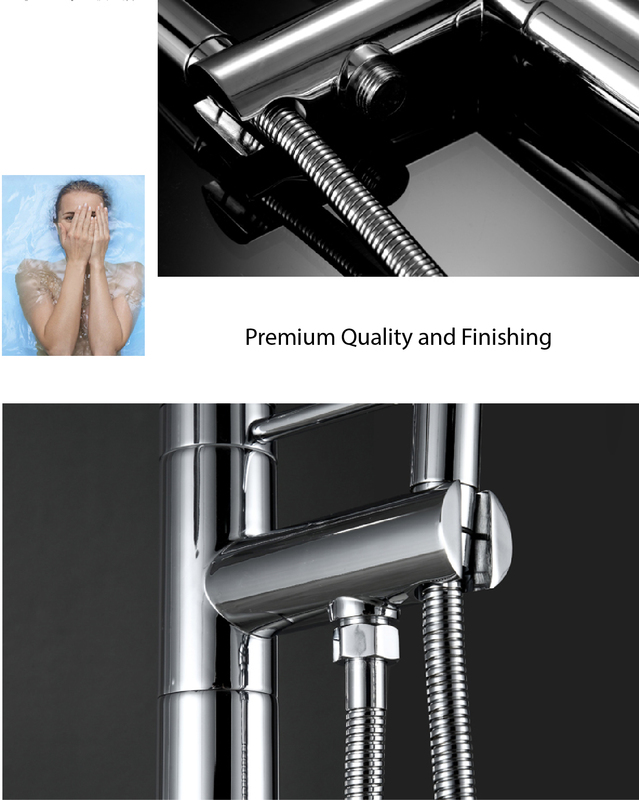 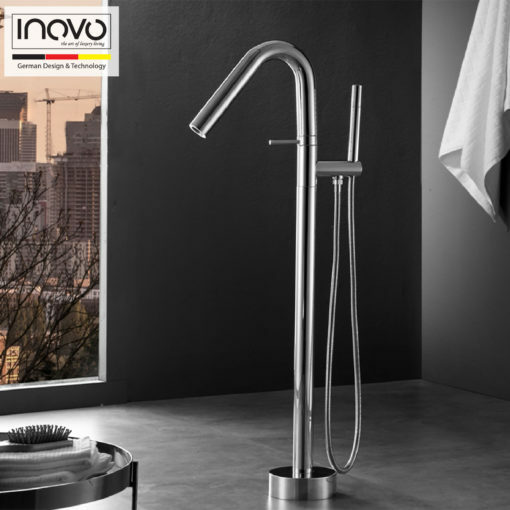 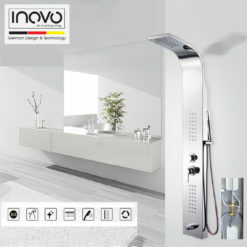 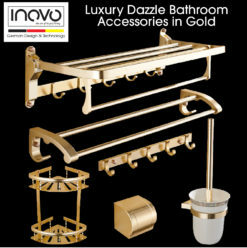 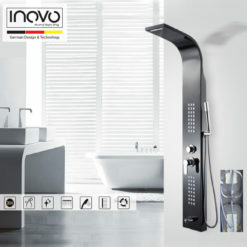 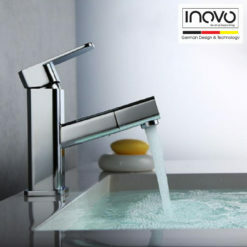 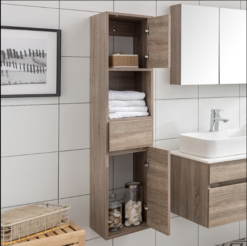 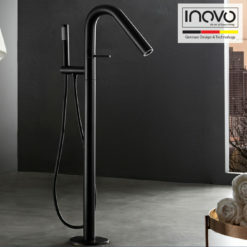 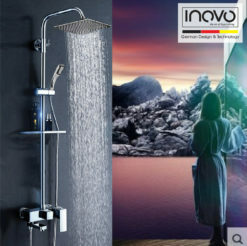 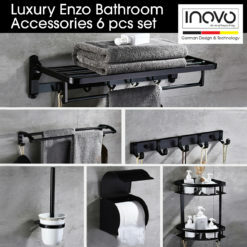 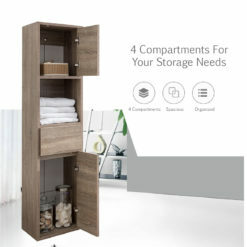 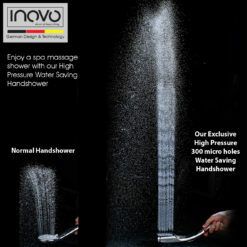 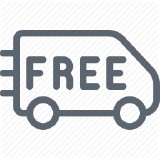 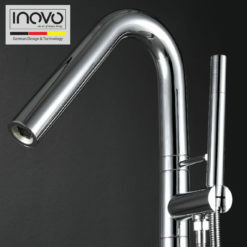 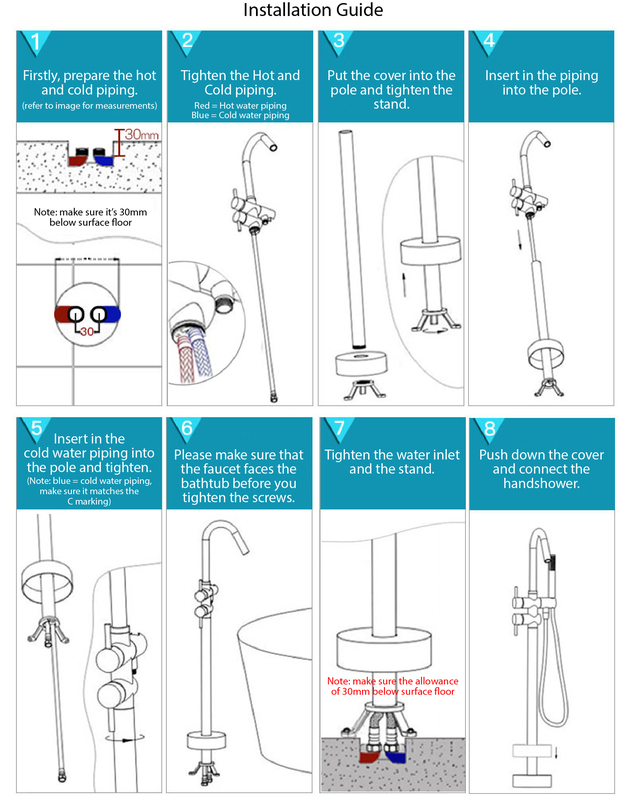 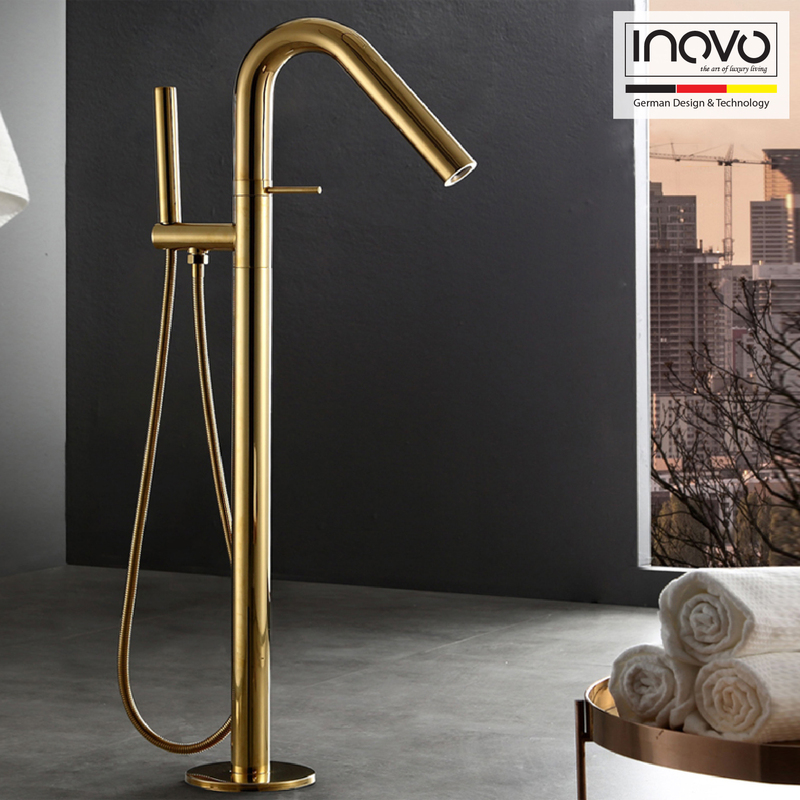 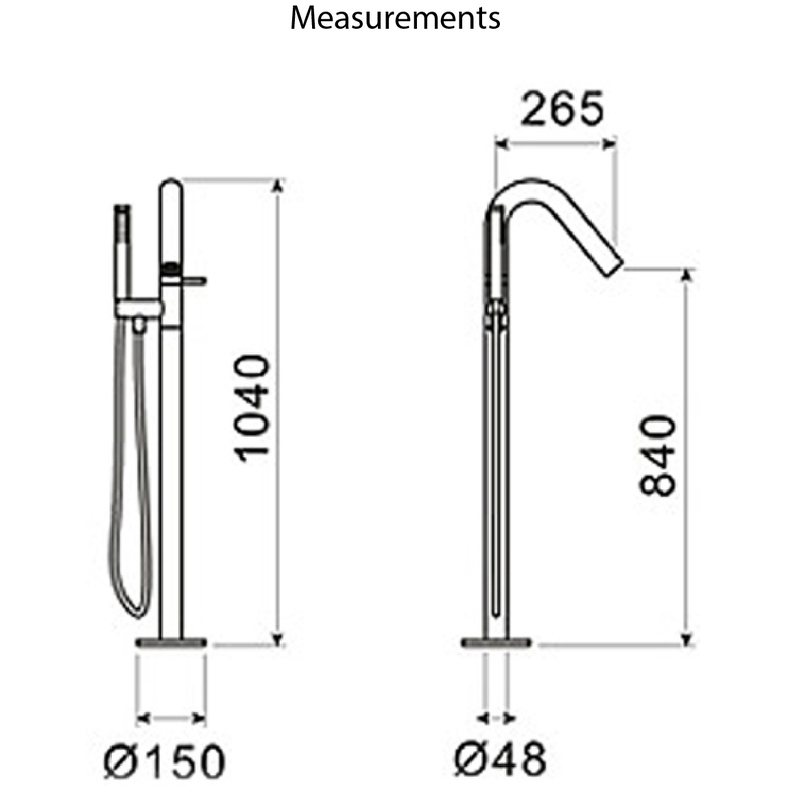 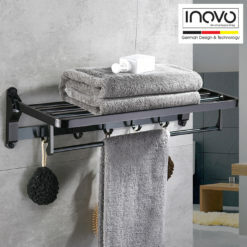 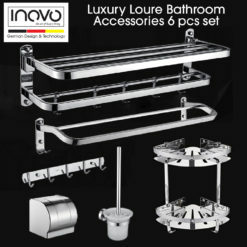 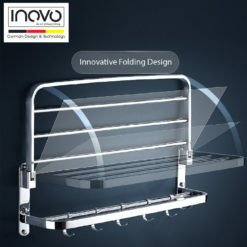 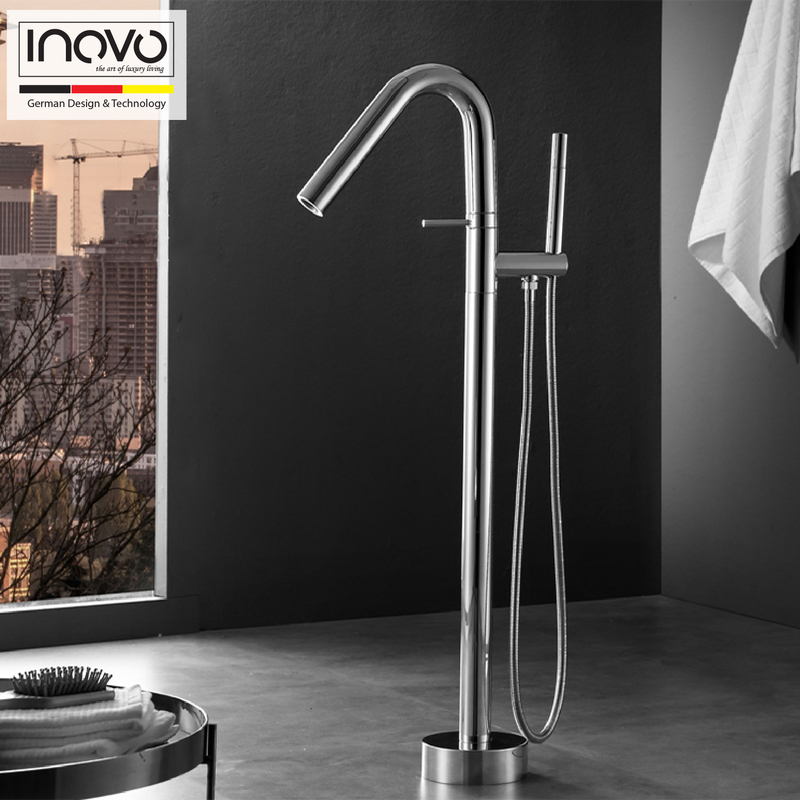 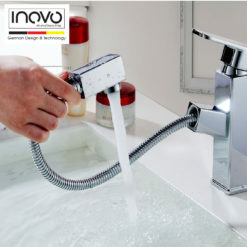 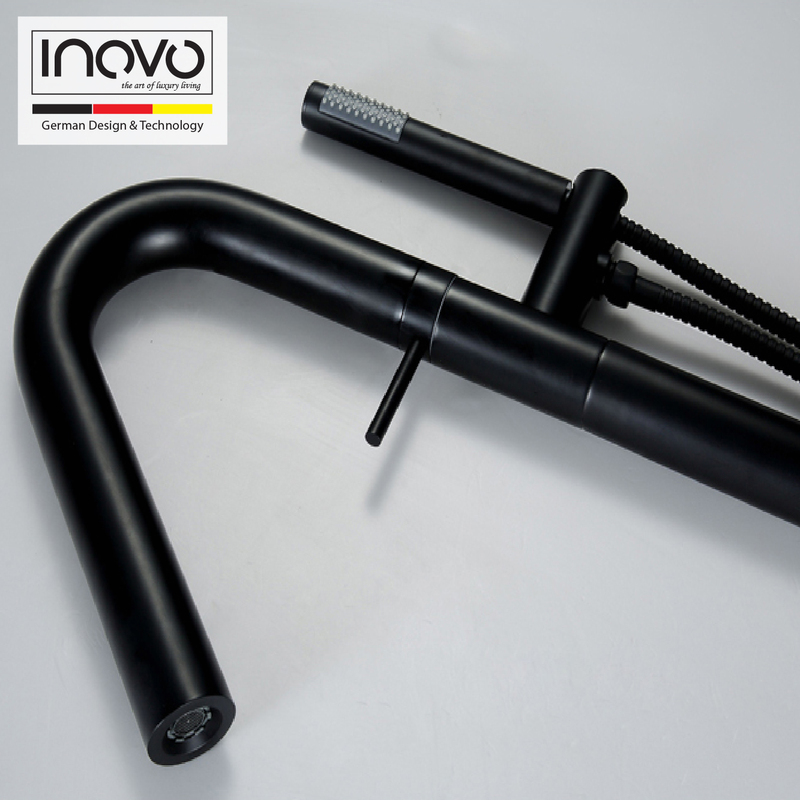 INOVO® Trinity provides warmth and magnetism to any modern contemporary bathroom. 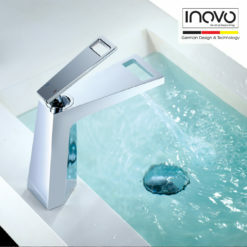 True to its origins in design minimalism, Trinity revives a pure way to connect with the eye and the hand.